This article only applies to institutions (admins, instructors, and students) accessing PlayPosit through a Learning Management System. This article only covers Bulbs presented as Self Paced or Broadcast learner experiences, and attached as Graded Assignments. Log in to your LMS just like you would for any other assignment. Once you click on the PlayPosit link, you'll be brought straight to your Bulb. Click Play and answer all of the questions. If you leave the Bulb before it is complete, you can pick up where you left off. 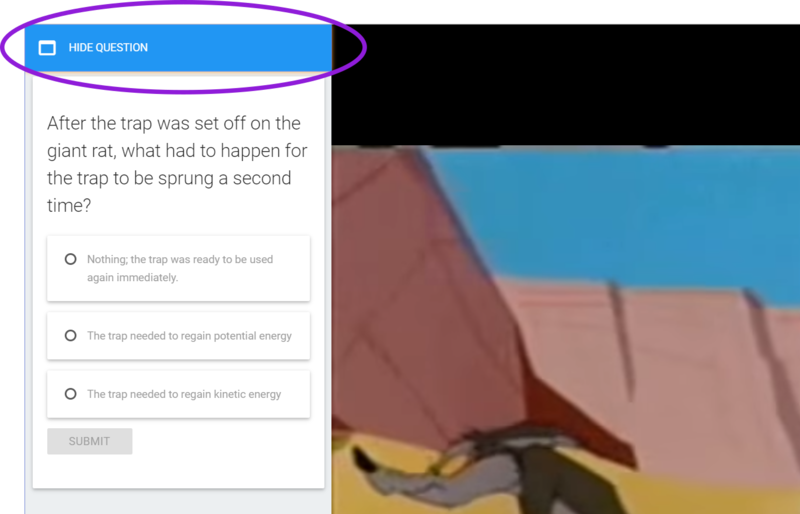 If a question prompt covers up an important part of the screen, you can hide the question. 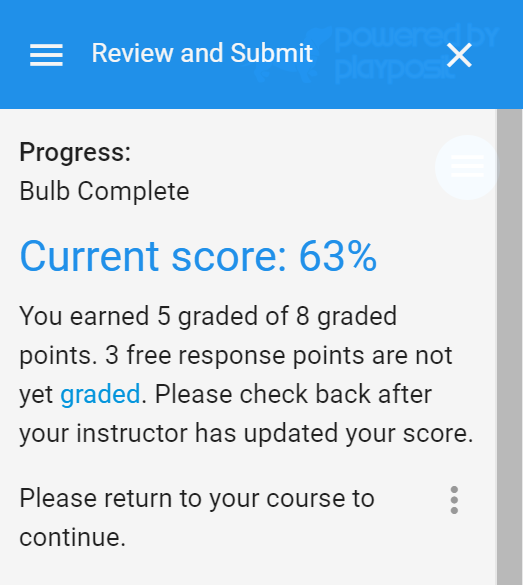 The assignment is not scored until you finish all questions in the bulb, including any feedback questions. * The Feedback Questions may be disabled by your instructor. If so, be sure to complete all questions in Bulb. 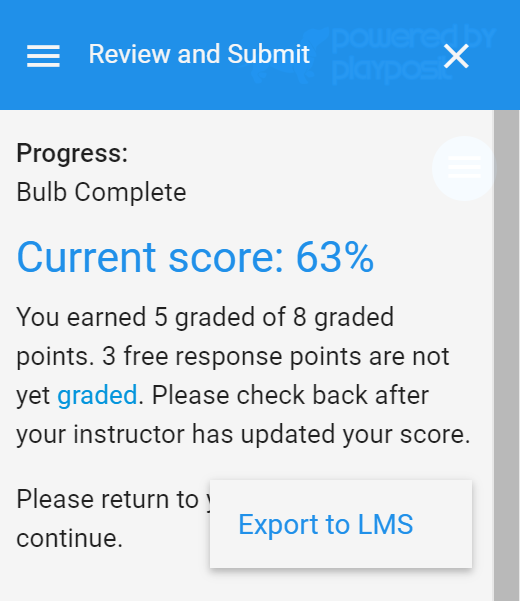 Once you have completed all questions in a bulb including feedback, grades are automatically exported to your LMS. The Current Score is calculated out of all possible points, including questions that are not auto-graded. See this link for more information. A green pop-up is confirmation that grades have been saved. If you never saw a green pop-up, you can manually enter your grade. Complete all questions in a Bulb, including any feedback sections. Click on the three vertical dots beneath your score. Click on Export to LMS. There will a green box stating Grades Exported Successfully. If not, contact your instructor for more help. If you experience technical issues when viewing a Bulb, a good first step is to try another browser or update your browser to the latest version. We support most of the major browsers: Chrome, Firefox, Safari, and Edge. If video isn't playing properly, try changing sources. In the top right corner, click on the settings button. You may need to hide the question. 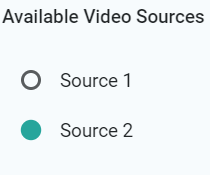 Choose one of the other available video sources. If you receive a message that the video isn't available, the likely cause is that the source (youtube, vimeo, etc) has been taken down. See if you can use a different source. If not, reach out to your instructor. If you receive a message that your scores are not being recorded, there could be a number of issues. Your network connection is unstable or too slow. See if you can connect to the internet through other means. You've been logged out of PlayPosit. Close the window and log back in to reopen your assignment. The link you have been sent is for preview purposes only. Request a new link from the instructor.